Advances in technology allow lower grade ores to be exploited, generating higher volumes of waste that require safe storage – and the challenges associated with tailings storage are ever increasing. Amongst other challenges, environmental regulations are advancing, placing more stringent requirements on the mining industry, particularly with regard to tailings storage practices. This ultimately places added pressure on the operators of a tailings facility who carry out the day to day duties of tailings discharge and water management. 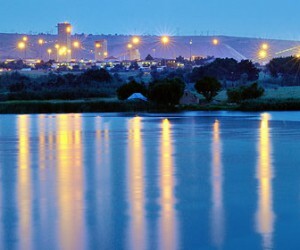 Leading engineering and project management companyAMEC’s technical director – engineering in South Africa, Ciaran Molloy, explains that in order to run a safe and effective Tailings Management Facility (TMF) proper management of a number of factors, as well efficiency in all stages of development, are key. Engineers continue to learn from past tailings facility disasters, such as the Merriespruit incident in 1994, when a gold mines tailings facility broke causing 17 fatalities, as well as more recent accidents. The industry has learned from these incidents. Molloy says that a significant find in the study of the TMF project is that some 70% of the world’s tailings dams that have failed are largely attributed to water related problems. “In order to reduce these problems, everything lies with efficiency. The initial design of the facility needs to be efficient, there needs to be well organised operation and management, mine developers need to ensure that there is efficient closure of the facility, and lastly, there needs to be a thorough understanding of water and how to control and manage excess discharge surface water runoff that reports to the facility from the local environment,” he explains. Problems that may arise in the future can be mitigated though proper design of four critical stages in the TMF life cycle, these include; site selection and design, construction, commissioning and operations, and decommissioning and closure. During site selection and design, international best practice, site optimisation, the amount of tailings material that will be placed into the TMF and site investigations all need to be taken into consideration. Hydrology is also an area of significant importance because if the water is not managed, it can contribute to a number of problems, such as adding additional uncontrolled water to the facility. Once the design elements are established, developers move into stage 2 and need to establish how the TMF is going to be constructed. For stage 3, commissioning and operation, there are excellent guidelines to assist engineers; one of which are international guides for Operations, Maintenance and Surveillance Manuals, that he uses personally on AMEC projects. These manuals list what is required from the facility in terms of function and how this can be achieved. The results will allow for performance comparison with design and if required, trigger remediation measures as appropriate. Finally, the decommissioning and closure stage, where the life cycle of a TMF is listed in various stages. Molloy suggests a ‘design for closure’ approach be taken with all TMF projects. “From the start of all prefeasibility studies, think to the future of what the tailings facility will look like in 50 to 100 years time, and apply that thought to the original process, this way, you can ensure the sustainable after use of the facility,” he explains. During the design of the tailings facility it is important to understand the legislation and international best practice relevant to the country that is being worked in. It is important to have a thorough understanding of the environment, the indigenous material properties, as well as tailings continuum - including how water will be managed in the tailings facility, and how it will be reused in the process plant. But above all, Molly says that teamwork amongst all parties involved is the most essential element of a successful TMF project.